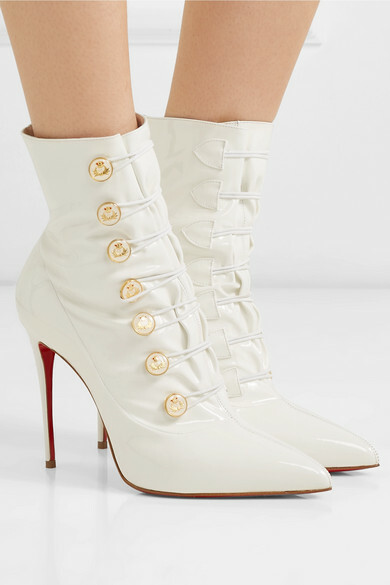 Christian Louboutin's 'Liossima' boots are shaped in the designer's iconic 'Pigalle Follies' silhouette. 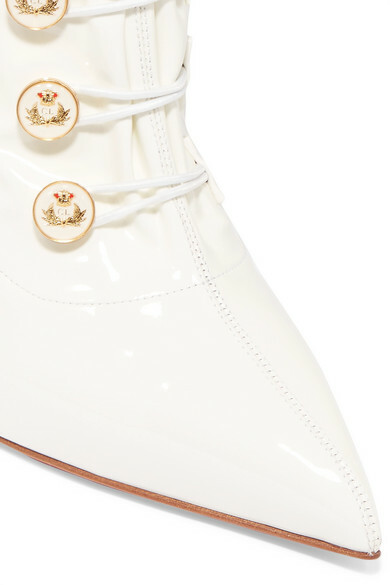 They've been made in Italy from glossy patent-leather in a shade likened to snow, and detailed with logo crested buttons that are picked out in gold. The military-inspired frogging can be undone to make pulling them on a little easier. 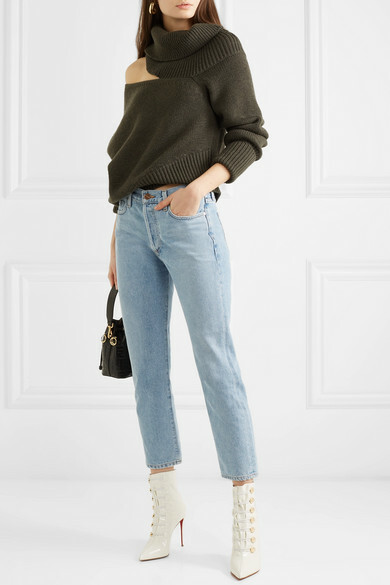 Shown here with: Monse Sweater, Goldsign Jeans, Ellery Earrings.